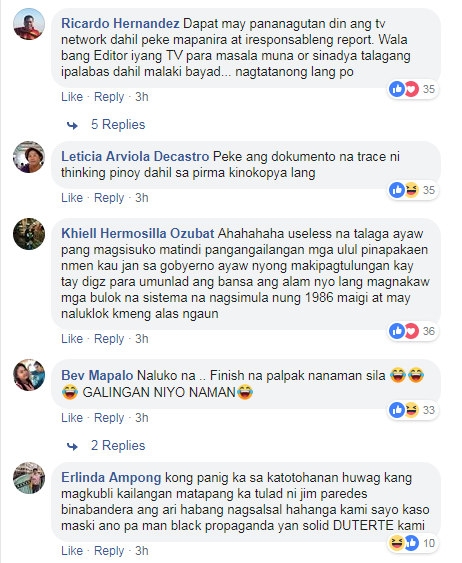 Maguindanao Mayor Datu Zamzamin reacted the propaganda video recently released by critics of the Duterte Administration. According to Zamzamin, the people behind the video stole his signature. At the beginning of April, a black propaganda video was uploaded against the current administration. 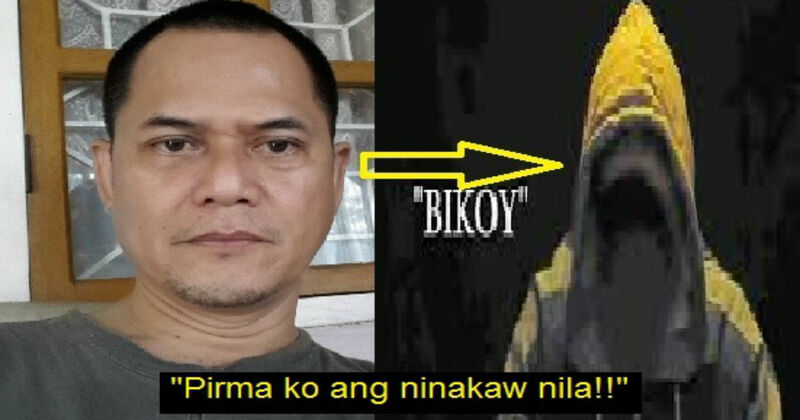 In the video, a former dru#g syndic@te member identified as "Bikoy" was introduced. 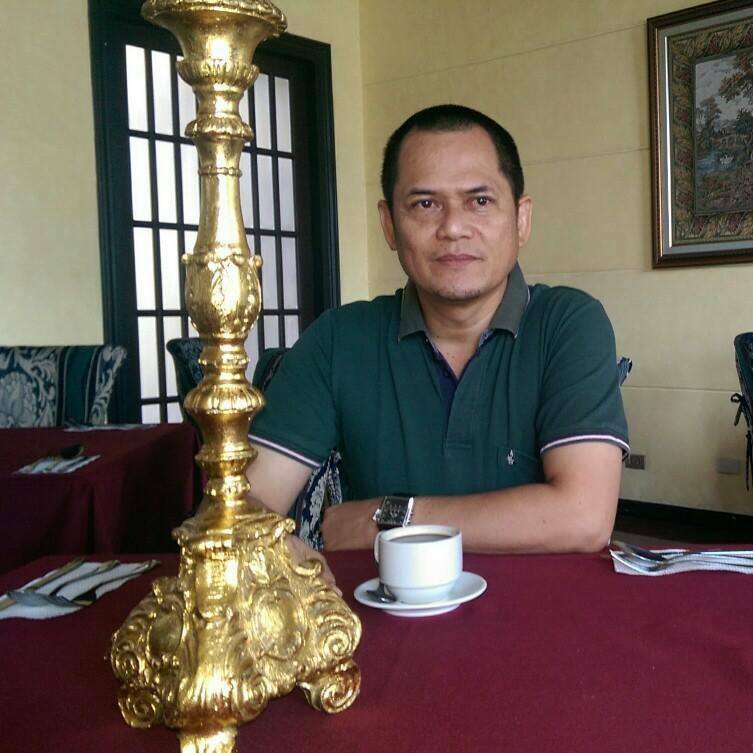 "Bikoy" named Presidential son and former Davao City Vice Mayor Paolo Duterte involved in dru#g tr@fficking. 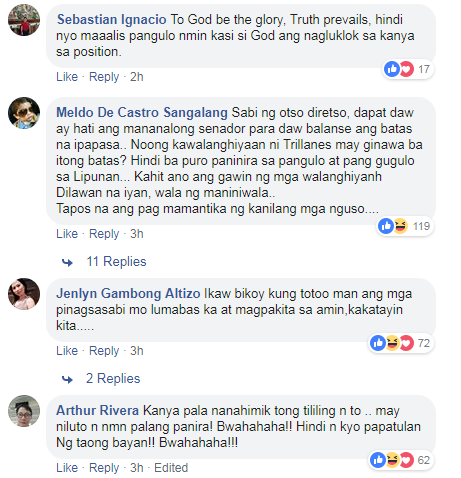 "Bikoy" also mentioned Mayor Sara Duterte's husband Attorney Mans Carpio of dru#g connection. 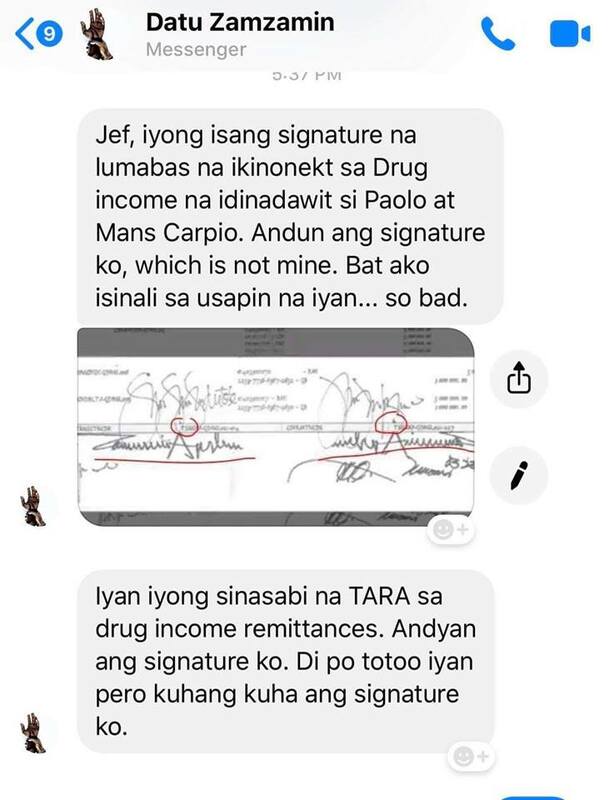 To prove his accusations, "Bikoy" showed some documents and signatures. “Why is my signature there? 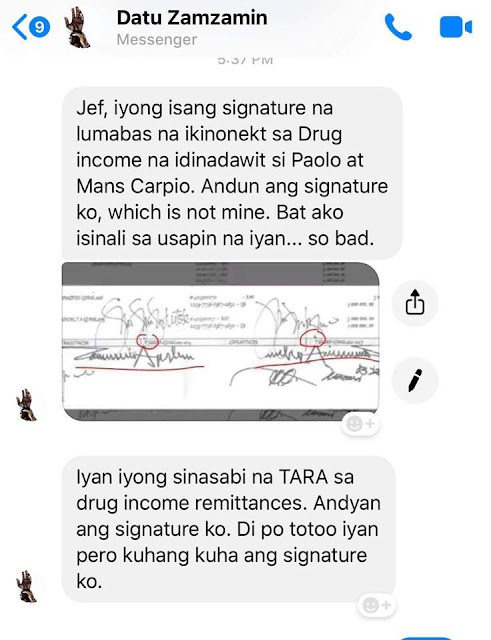 This was supposed to be list of remittances from Southern Luzon and Southern Visayas drug syndicates… One of the signatures on the list, which connects Paolo and Mans Carpio was mine. My signature was there but I did not sign it. Why am I being dragged into this?,” according to Zamzamin. In a statement, PNP Chief Oscar Albayalde said the timing of the video's release was questionable, as well as the motive behind it. It is also a waste of time to pay attention to the said video. Watch the video posted by people against the president:. 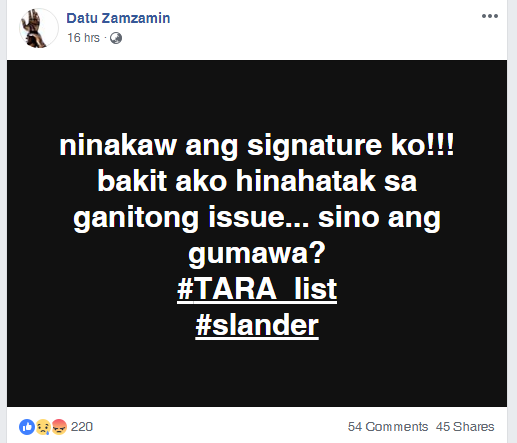 In the social media posts of pro-government bloggers, they gave a reaction why they believe that the documents and signatures shown by "Bikoy" are counterfeit. Watch RJ Nieto's about "Bitoy's" video:.